Events Archives - VIRTUALIZATION IS LIFE! AWS re:Invent 2018 is happening next week and for the first time Veeam is at the event in a big way! Last year, we effectively tested the waters with a small booth, no main session and without the usual event presence that you would expect of Veeam at an VMworld or Microsoft Ignite. This year is a little different and we will be there as Diamond Sponsors of the event and with a lot to share in regards to how Veeam is leveraging AWS technologies to enhance our availability messaging. We bolstered our native AWS capabilities earlier this year with the acquisition of N2SW who already where a leader in the protection of AWS workloads and with the upcoming release of Backup & Replication 9.5 Update 4 we will be further enhancing our ability to not only backup AWS workloads, but also leverage AWS technologies such as S3 to facilitate a change in mindset as to what it is to have a local backup repository. We will also be talking about migration into AWS and also how we are the best data protection choice for VMware Cloud on AWS. At the event we will have a breakout session which myself and David Hill will be presenting. This will be on Wednesday at 5:30pm in the Aria Casino and we are looking forward to deep diving into what’s coming in Update 4 as well as showing off what’s coming in the next release of N2WS as we start to jointly develop solutions between the two companies. Veeam has made significant enhancements to its platform, focusing on the availability of AWS workloads over the past year. Join this technical deep dive where representatives from Veeam demonstrate how the company protects cloud-native workloads on AWS as well as how they back up to and from on-premises environments. They also discuss data protection for VMware Cloud on AWS. Finally, they review the enhancements to Veeam’s Backup and Replication feature set, which now includes cloud mobility to AWS and a cloud archive that leverages Amazon S3 for long-term data retention of backed-up workloads. I will also be giving a Booth Presentation at the Cloudcheckr booth, Tuesday at 10am which will effectively be a slimmed down version of the main session happening on the Wednesday. As mentioned, this year we will have significant presence on the show floor with two areas to come and see Veeam technologies as well as chat to us about how we are protecting and leveraging AWS and AWS workloads. On the main show floor we will be at booth #1011 which is well positioned next to the GitHub booth and we will also have a second location at the Mirage called the Data Protection Lounge which will be a place to relax, enjoy a snack and engage in technical discussions with our experts…including myself! I’m looking forward to the event and being more than a spectator this year I’m expecting big things from it. 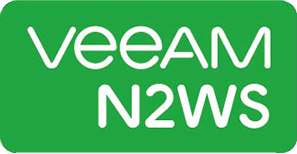 Make sure you come visit us at our booth or at the lounge to check out what has been brewing from Veeam and N2WS R&D over the past twelve months…and also don’t forget to attend the session on Wednesday afternoon. I’m excited about some of the new features we will release as part of Update 4…and this session is a chance to see them working and get an understanding as to what they will be delivering. If you would like to schedule a meeting with myself or any other member of the Veeam Product Strategy team attending, please reach out.